Congrats to all the restaurants that won the "Best Of" honor from the Statesman Journal. Here's a link to the winners. This contest got me thinking about how restaurants compete with each other daily for your business. In my food service years, I recall updating bosses about how full neighboring parking lots were of the restaurants that we wanted to beat. This competition is good for the consumer and healthy for a thriving restaurant scene. Over the weekend, I attended a friend's birthday party and decided to give him a gift certificate for Word of Mouth Neighborhood Bistro. The couple that we carpooled with to the party, gave a certificate to La Capitale. Naturally these two restaurants would be thought of as restaurant rivals. They both opened for business about the same time last year. They've both gotten rave reviews. Both are high quality food at reasonable prices. But, are they in direct competition with each other? I picked up this exchange on twitter between a couple of La Capitale staff about a month ago. kidcapitale: creme brulee French toast...why didn't I think of that? Creme Brulee French Toast is one of the items on the menu at Word of Mouth that customers rave about. These two restaurants may not be across the street from each other but they are on each others' minds. Friendly competition, I hope. This also got me thinking about other restaurant rivalries. How about French Press and Napoleon's Creperie? DaVinci's and Allesandro's? Kwan's and Marco Polo? I'm surer there are plenty of others in town, can you think of any? The biggest rivalry and the one that people are most passionate about is any coffee shop vs. any other coffee shop. I don't drink coffee (can't stand that filtered dirt!) but I love reading everyone here talking about how their place is better than that other place and how their place is better since it's MORE local than yours! And NO don't tell me how I've never tried truly good coffee and that's why I don't like it. 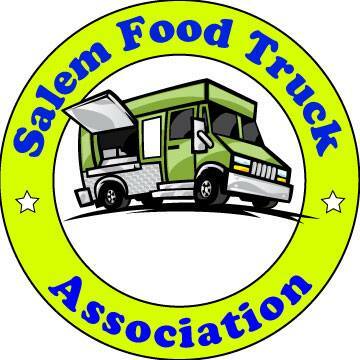 It's a shame that the Salem restaurant scene is such that Word of Mouth and La Capitale can actually be thought of as competitors. They are entirely different. One's an updated version of the standard American diner/restaurant of which Salem has mediocre versions in abundance (Hellllllooooo Sybil's); the other is a French Bistro. Both places have excellent food, but they're entirely different. I think that La Capitale's most direct competition (and I use the term loosely) is Bentley's while Word of Mouth's (dinner service aside) would be the Sassy Onion. LJ, I have to disagree with you a little. I think La Capitale has competition in a few places: Amadeus, Morton's, Caruso's and those are only the places I've personally been to. I really believe Salem has a better dining scene than most people know. Also, I know from dining at WOM that Sassy Onion completely supports WOM by eating there and helping them out. I saw Sassy employees at the restaurant and a catering truck outside. I think Sassy tries to support great local establishments like their own. But I do have to agree that WOM and Sassy are similar in style and quality and are competitors. IMO, the asian and mexican places are the biggest competitors in Salem, as well as the coffee places. Everyone has their favorite place and everyone else's favorite place is "wrong". Salem Man, When I first read your post's title, I remembered a friendly-kinda-smack-down exchange between the Road House and Red Lobster on their reader boards. Almost made it worthwhile to drive down Lancaster to see what was on their boards. Yeah, I wouldn't exactly consider Word of Mouth and La Cap as competitors - I'll go to Word of Mouth because the food is good and the prices reasonable. La Cap is one that I look at the prices and wonder how they get atmosphere in a storefront? The reason I didn't mention Caruso's, Morton's or Amadeus is that there really is no competition between them and La Capitale. Caruso's is a mecca to all that is previously frozen (I had two awful meals there). Morton's is much better, but still suffers from heavy and frequently uninspired food (eaten there twice as well). And Amadeus, I think, is a victim of it's massive menu - nothing stands out and everything is mediocre. And the fact that two restaurants are competitors, does mean that their competition can't be friendly. Just because they support WOM, doesn't mean The Sassy Onion doesn't also compete with them for business.